Tom Bisio interviews NYIA instructor Wes Tasker. 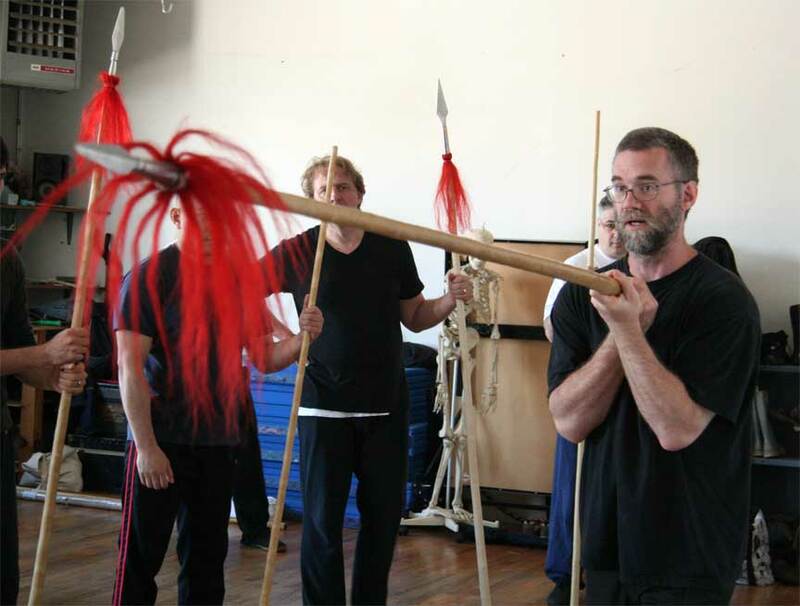 Wes’ extensive experience in martial arts has spanned 30 years of teaching and training in arts as diverse as American Kempo and Kosho Shorei-Ryu, Filipino martial arts, Kuntao Pentjak Silat, Boxing, Catch Wrestling, Traditional Okinawan and Japanese Karate, Qi Lin Pai and Xing Yi Quan, Ba Gua Zhang and Tai Ji Quan. In Part 3 of this interview, Wes talks about sparring, his daily training routines, his most important influences in martial arts and traditional Chinese medicine. TB: What is the value of sparring in training and how do you feel it should be conducted? WT: I think depending on your reason for training, sparring becomes either less or more important. So I would say if somebody is training to use their martial art in a symmetrical bouting kind of way, then sparring is important. But then again, the arts I teach, I don’t think are your best choice if you want to take it into the ring. There are things better suited to that. I think sparring can teach a certain amount of toughness and stick-to-it-iv-ness, and learning how to give and receive blows and locks, and one can experience working against resistance. The mistake a lot of people make is that they think sparring mirrors self-defense. It doesn’t. They are two very separate things. And I think if you spar a lot, you can develop bad habits for self-defense and vice versa. Most arts have a certain amount of this symmetrical training, whether it is push hands or competitive throwing or things like that, where you try to use things against someone savvy who is going to give you some resistance, but full-out bouting is not as useful for self-defense as people think it is and I think sometimes it can give you bad habits. You have to put away a lot of tools, not in the sense of “ooh! it is too deadly to spar with.” I mean we are all friends. We are not going to poke each others eyes out even if we could, but it takes away some of the tactics that are in a form that you just can’t spar with, where if somebody doesn’t counter, you are going to shear their neck or lock their spine and that just isn’t very fun. Usually when I conduct things like sparring, it is done in a progressive way so that someone is never drowning – if we take the analogy of throwing someone in the deep end. I am very much a fan of getting them acclimated to where they are at, and then going a little deeper. And the minute things start to break down, we stop. We continue working on that until it doesn’t break down. It is like training a form. Students do it only as fast as they can keep proper structure and mechanics. The minute structure and mechanics break down, they are going too fast, or they need to do it more mindfully. I feel the same way in sparring or any kind of free-bouting where there is a certain amount of friction or unpredictability, where if a person starts breaking down and becoming sloppy, you have to ratchet it back. Otherwise it is just going to develop bad habits, or they are not going to use the art. If there is anything I can’t stand, it is seeing somebody free-bouting where you can’t tell what art they do. It is a big thing in my school. If you do it, it should look like the art you practice. If you don’t, there is a problem somewhere (laughts). TB: You have trained in a lot of martial arts and I am always impressed that you can remember all of the forms, or you seem like you can. What do you train in everyday? What is your daily training like? WT: I have four different clipboards up in my training space at home. One is the Ji Ben Gong and Nei Gong schedule I have in the morning and the others are my training schedules for Ba Gua Zhang, Xing Yi Quan and Qi Lin Pai. So in the morning, it alternates, I do the Nei Gong of the Xing Yi or the Nei Gong of the Ba Gua and then I do some basic Ji Ben Gong – stance holding, the large staff, hitting a bag or a catch bag – it alternates. That takes up to an hour or a little more. And then in the evening, I work on other parts of the curriculum and forms. I do it in a very mindful way. So if I have time I go through Ba Gua and Xing Yi trying to make sure I have things correct – are the structures and alignments correct, etc.? Not just running through it, because that just creates sloppiness. And then maybe end with some Qi Lin Pai. One night it might be just Qi Lin. Another night, I might try to go through a chunk of the Ba Gua and play around with it, to tease out what these forms mean, or extrapolate single movements and work those. TB: Could you talk a little bit about Qin Lin Pai? Some people might not know what a Qi Lin is or don’t know there is a martial art named for the Qi Lin. WT: It is perfectly named. The Qi Lin is a mythical creature that is mistakenly called a unicorn, which it is not. In the Western view of mythical creatures it would more properly be called a chimera – a combination of different animals. Qi Lin Pai itself as a system was founded by an individual named Dennis Decker, who passed away in the mid-nineties. He had a basis in Judo and some Tracy-style Kempo growing up. Then he studied several Chinese arts and went on to create his own system. What I find fascinating to this day is that, unlike a lot of arts that came out in the 70s and 80s that are just a hodgepodge of stuff, sometimes imitating what was on TV, he created his art from the ground up. So it is a very cohesive system with a lot of accentuation on stance holding and conditioning. These basics that you had to get down and then forms that are very methodical. The first three forms give you a very good basis. The first three are: five shorter forms for self-defense (they are then combined into one form), another form for gross body mechanics, and then what my teacher calls the core or DNA of the art, the Tiger-Crane form. And one of the reasons it is the core of the art is not because it contains every fighting technique known to man, but because it is a way of inculcating this very profound spiral mechanic with alignments and basics. I never met Dennis Decker, but in talking to some of his first generation students it is very obvious that he had a profound understanding of internal mechanics that I think happened without him knowing how he got it. So he spent a lot of time near the end of his life trying to figure out a way to teach it, which may be why he was very attracted to Tai Ji and Ba Gua at that time. So it fits perfectly with my training in Xing Yi and Ba Gua. It was the first Chinese art I experienced and the first indication of what makes something internal rather than external. TB: Who were your most influential teachers, keeping in mind that of course all your teachers were influential? There are probably four teachers that stand out. Tony Annesi who teaches Takeshin-ha Karate and Aikijujutsu. I met him shortly after Sensei Nakayama left to return to Japan, and here was somebody teaching Karate and Aikijujutsu through principles. It really made me look back at what I had, because I could make some things work on anybody and some things I could only make work sometimes or not at all. He really clued me into the idea that there are exercises in one’s art that imbue you with principles of that art and that is how these things function. Bruce Juchnik was my second big influence. Here was someone who when I met him was doing Filipino Arts, but then he would switch to Qi Lin and Hung Ga or Northern Shaolin or Kosho Shorei-Ryu Kempo, and then he could look at people and tell them what their techniques were and when they had learned them from Ed Parker because he knew that too. It was an interesting role model for me. I said to myself “oh you can do that. I want to do that.” He was also my first instructor in Filipino martial arts with a cohesive system. Before that I had worked out with JKD Kali guys who did a lot of drills that were not methodical and didn’t seem to go anywhere. He was the first to show me the method. Especially with something like Serrada which he taught first. There were the basic strikes, then the defenses, then here is the drill called lock and block and then here is the sumbrada pattern, and then you break the patterns but you can’t do that unless you have your foundation in the rest. And then I learned his other Filipino Systems. Roberto Torres and Willem de Thouars. Roberto Torres because you had to survive the class. It was toughening and a clue into the mind-set of fighting and also he was a talented teacher and superb martial artist. And Willem because of his connection to these old world arts and the method of hard training – it’s 3 am let’s go do horse stance training in the parking lot outside your apartment complex, which led to some interesting things. (laughs). And the last influence I should mention would be you. TB: Thank you. What mistakes did you make in learning in training? How would you avoid them if you could do it again? Mostly with an eye to advising students coming up. We all know that you have to make mistakes to learn, but if you can make less mistakes it is always better. WT: Yeah, I think one of the bigger mistakes I made was not realizing I was growing older (we both laugh somewhat ruefully). TB: (laughs again) Oh yes that is a common one. WT: Yes and not really getting the memo that some of this training, that is really hard, is for a certain age, and then you have to let it go. And it does not mean you are getting soft; it does not mean you are somehow wimping out on the real training. It had its purpose. At a certain point you don’t get more by doing more. Actually at certain point, it gives you less, as I can attest from experience. TB: You have gone out of your way to learn Chinese medicine and self-study Chinese herbs. A lot of Martial artists have minimal interest in this. What prompted your interest in this? Did it start with your early training in the Japanese arts? WT: It started with Nakayama Sensei. He had a phrase he liked to say: “a one-sided coin is useless.” Going through middle school and high school I learned a rudimentary form of massage (Anma) some bone-setting (Hone Sei), some basic Kampo herbal remedies and moxibustion. So I have been working on and treating people since I was thirteen, but with a very limited skill set. Then when I went to Prof. Wally Jay’s Small Circle Jujutsu camp. 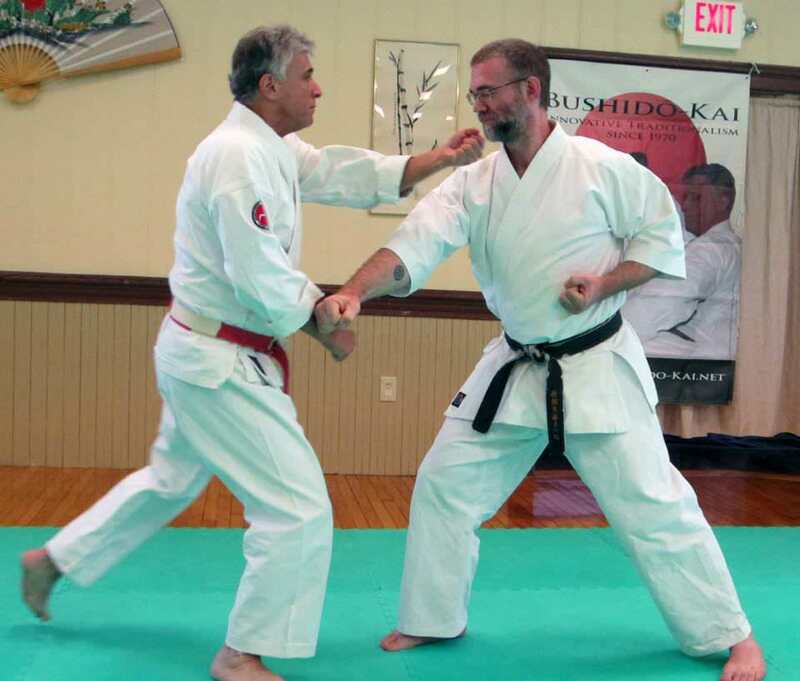 At the end of each day Prof. Jay and/or his senior students would teach us Seifukujutsu, an orthopedic bodywork method, which is an integral component of his original Jujutsu style, Danzan Ryu. This gave me more tools. I always liked being able to take someone out of pain or being able to fix something with just my hands or some herbs. Then my mom was seeing an acupuncturist and he let me hang around and ask questions. She worked for a chiropractor and he let me hang around. I can be persistent (laughs). And then I went to massage school and learned more. And then I read your book and took all of the Zheng Gu Tui Na classes. As my tool kit expanded, I started treating people, which gave me a lot more practical knowledge. When you look at doing martial arts in a way that is more than a hobby and doing this kind of really hard training that physically alters the body, and you look into the past, you realize that all of these arts were classically done under the supervision of someone who knew healing arts. TB: You are a practicing Buddhist and are very interested in traditional Western philosophies such as stoicism. These are big topics. Can you talk briefly about these things in relation to your life in martial arts? I was always curious about religion and philosophy and was first exposed to Buddhism through the martial arts. What really attracted me to it is – in some ways, what I really like about the more traditional martial arts – it offers a ‘method’ to achieve its goals. And like with the martial arts, that method isn’t always easy, but at different stages one can see results and the internal logic of the system becomes more and more evident. Likewise for my interest in Western philosophy. I am attracted to those systems and philosophers that have a direct bearing on how one lives one’s life – or crafts a life for one’s self. Hence my interest in the Hellenic schools of philosophy – primarily Stoicism. As well as more modern thinkers like Foucault, Levinas, Marcel, the Kyoto School, and more recently the works of Richard Shusterman, whose Somaesthetics is an interesting crossroads of the interior philosophic life and body-centered practices like martial arts and Chinese medicine.